The Wild Women are Coming! Members from the NY/NJ WILD Project (Women in Leadership Development) are attending the AAUW National Convention in San Diego come June. 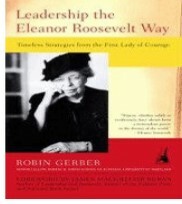 They will be promoting Phase 3 of the Eleanor Roosevelt Leadership Read. State board members connected at our last national convention in New Orleans and strong bonds of friendship developed, as they often do in AAUW. Robin Gerber, keynote speaker there inspired these women to focus on leadership through her book “Leadership the Eleanor Roosevelt Way.” There are monthly conference calls, convention workshops and program planning. You too can become “WILD” and join in Phase 3 that starts this July. Members connect on the third Tuesday of each month to review and discuss the current chapter with a focus on the leadership virtues Eleanor exemplified. Eleanor was named as the most influential first lady of all times by a Siena Poll in 2014. Ken Burns made her an integral part of his new series, “The Roosevelts” last fall. The UN has designated her birthday as the date to celebrate International Day of the Girl. The time is right for you to establish a relationship with Eleanor or renew an old friendship. Robin’s book connects you to Eleanor in a very personal way. National will be hosting round table discussions at the convention. We think this New York/New Jersey collaboration is something to talk about. There will also be opportunities in both New York and New Jersey to learn more about this project at their spring gatherings. If you have a personal or family story related to Eleanor be sure to share it with us. This entry was posted in AAUW NYS Leadership, General and tagged AAUW, Education, Leadership Development on September 27, 2015 by drrani.